This morning we had our first of the month assembly. First order of business was to announce the recipients of Principal’s Choice for the month of January. Congratulations to Kate who earned her title for Risk-Taker! Then Mrs. Whitworth presented this month’s attitudes and attributes of co-operation and creativity. 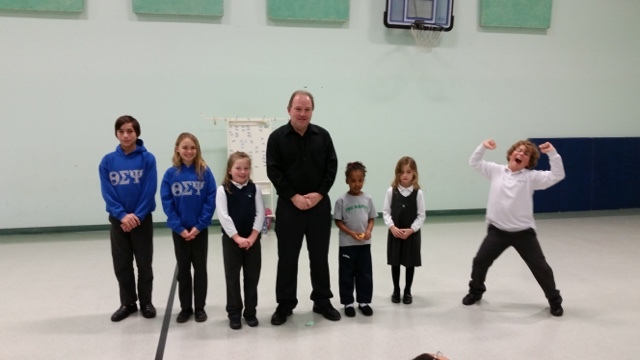 Afterwards, Mme Villeneuve led the school in some fun house games. When we came back to class, we did our morning jobs and then went to calendar for our daily activities. Then it was already time for snack and recess! Following recess, our three spelling groups had their spelling pretests and then worked on activities with their list words. 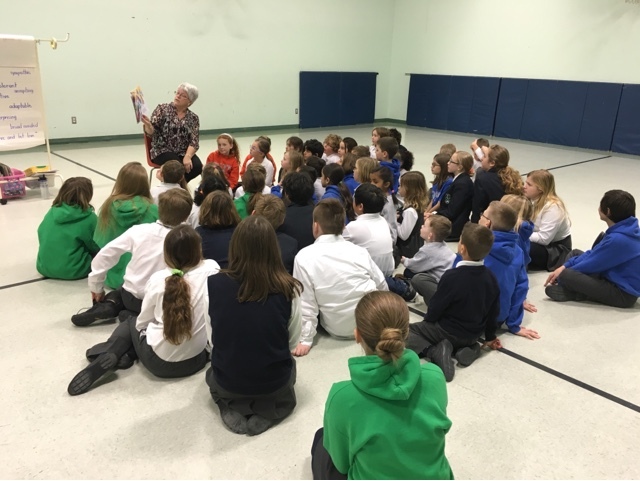 Because of a change in this week’s music schedule, we followed a Tuesday schedule for today so Mrs. Dilba then took the students to library for a book exchange. Students were allowed to select books even if they didn’t bring back last weeks’ as it was an unscheduled change in our day. After lunch and recess, Mr. Hunt came in for music and gym and then it was time for last recess. Mme Villeneuve came in for French class after last recess and then it was already the end of the day! Reminder that tomorrow is our trip to theatre Orangeville to watch Thumbelina.